If you have requested that a full name and/or date be monogrammed on an item such as a christening blanket, we will select an appropriate font that is the correct scale for the size of the item you have purchased. 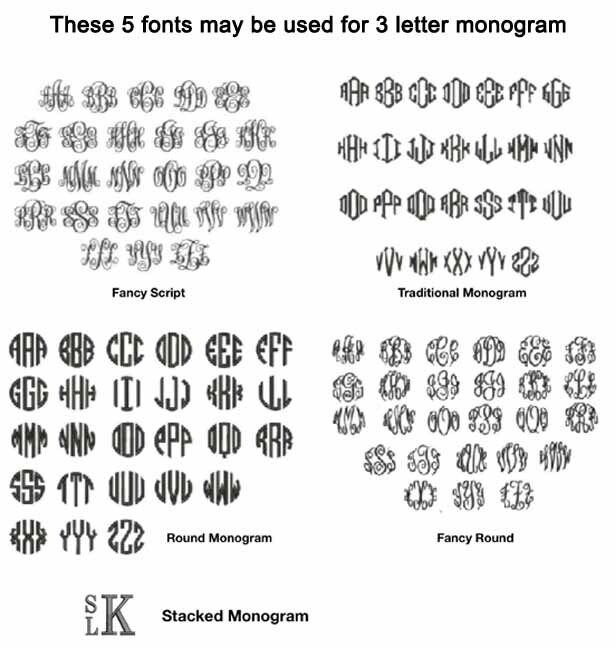 For articles of clothing, please select one of the following fonts for your custom monogrammed item. 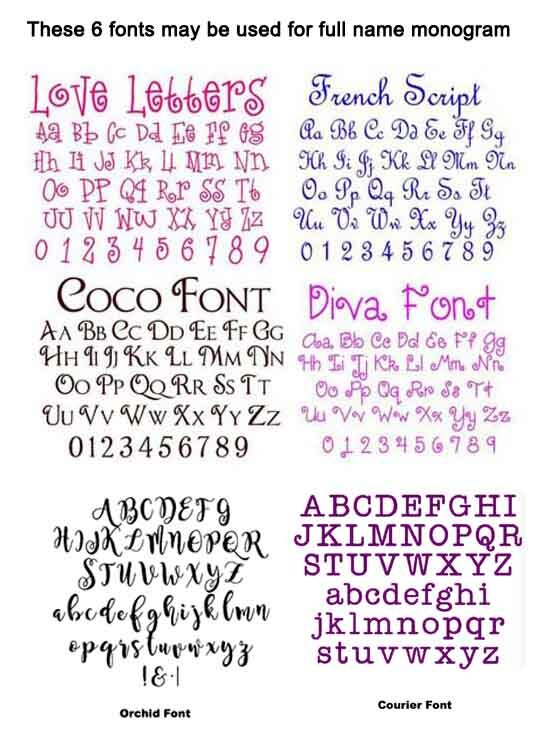 If you have chosen a single letter monogram, please choose Fancy Script or Stacked from the first table or French Script from the second table.